Subscription commerce means generating recurring revenue over a long-term customer relationship. And when you truly understand the entirety of a subscriber’s journey from free trial to renewal, you stand a better chance at earning their trust and their business. 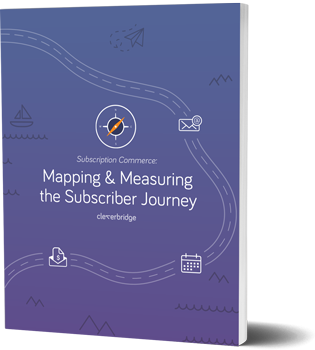 By mapping that journey with the right metrics, you can report successes and identify revenue opportunities at key points in the subscriber lifecycle. But what the critical milestones and subscription KPIs should measure – and how do you calculate them? We've got your back. Grab our free guide to learn how to calculate the subscription KPIs that matter most to your business. If your business lives and dies by subscriptions, you need to understand the map of your subscriber’s journey and its relevant KPIs. Make sure that your ecommerce arsenal has capabilities to support subscribers at each stage of their journey and to accurately report subscription-specific KPIs.